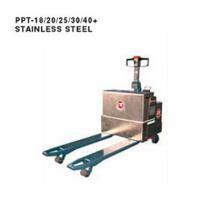 Stainless Electric Pallet Truck (Load: 1.8Tons / 2Tons / 2.5Tons / 3Tons t / 4 Tons ) PPT-18/20/25/30/40+Stainless Steel(PPT-18/20/25/30/40) - Noveltek Industrial Manufacturing Inc.
◆ Quiet, safety, durable, reliable. ◆ Forks can lift up to 205mm. It can carry open pallet or closed pallet. 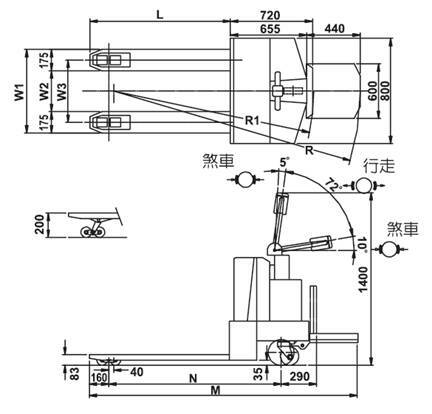 stable and much better than the single hydraulic lifting cylinder product. have any balance problems when turn a circle. as a very powerful climbing ability.this mechanism is controlled by 3 springs. ◆ Emergency handle can cut-off all electricity.